When I visited Budapest this summer I was excited about many things. The spas, the history, the architecture…there just seemed to be so much about the city that I would love. And I did. But what turned out to be my favourite thing were the numerous statues and monuments that are dotted around the city. For some reason, I wasn’t expecting them. Or perhaps I wasn’t expecting to like them so much. I’ve never been much for monuments, instead favouring a history preserved through stories above one literally set in stone. But the monuments in Budapest, they moved me. I found all of them, without exception, powerful, relevant and quietly dignified. I have no idea if this is the name of the statue and (weirdly) can find no reference to it online at all. This might be because officially, The Man in the Room does not exist. 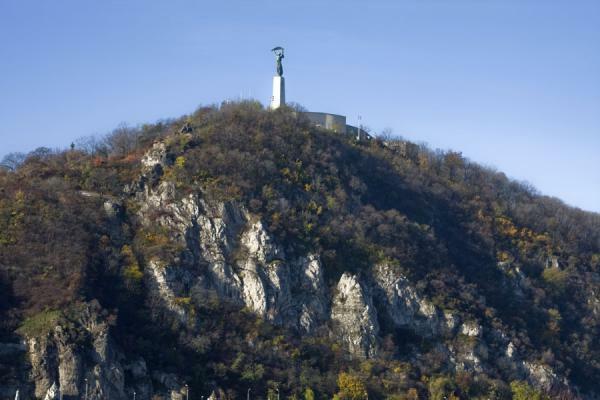 It is an illegal monument, installed as a reminder of and tribute to all those who suffered under the communist regime. Located in a small park on the Buda side of the river it’s easy to miss but well worth searching out. So simple and yet so moving. This monument immortalises the last moments of a group of Jewish citizens, shot dead by fascist militia in WWll. Made to remove their shoes (because these could be reused) at the edge of the river, their bodies fell straight into the water removing any need for burial or disposal. 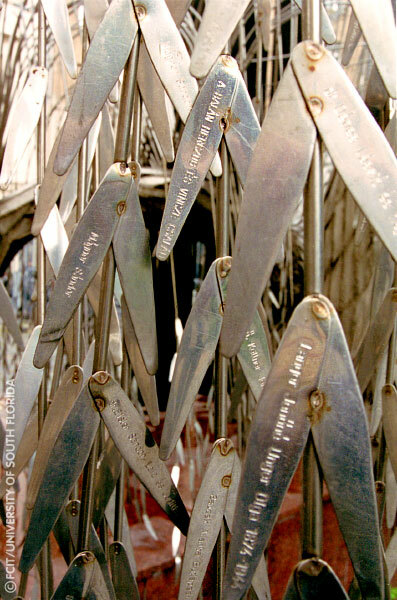 The monument is composed of sixty pairs of period-appropriate iron shoes and gives the impression that such injustices have only just occurred and you’ve arrived just seconds too late. What would you have done if you’d witnessed this in real life? the shoes seem to ask. Would you have helped us? It’s eerie and very effective. 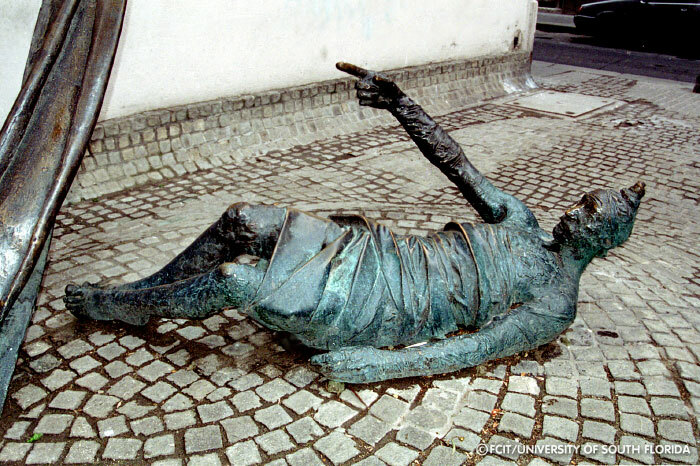 A tribute to those who did attempt to help, the inscription by this statue reads: Whoever saves a life is considered as if he has saved an entire world. 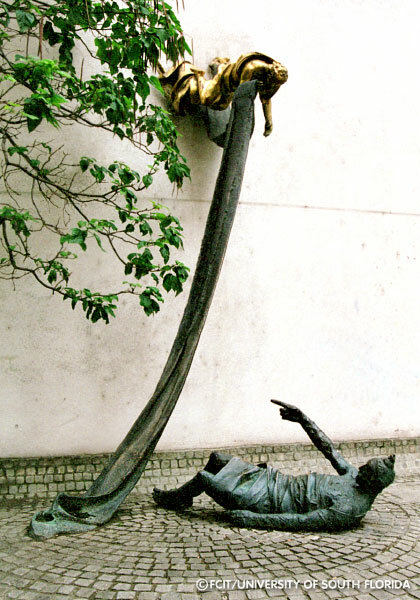 It depicts a golden figure letting down a piece of cloth to a man knocked down to the ground, suggesting that he should grab a hold of it. The tip of one of his figures is gold too, as if the man is already feeling the positive effects of the proffered assistance before he’s even taken it. I thought that was a very powerful message. Situated in the courtyard of the Dohány Street Synagogue, this monument is one you can’t help but notice and rightly so. 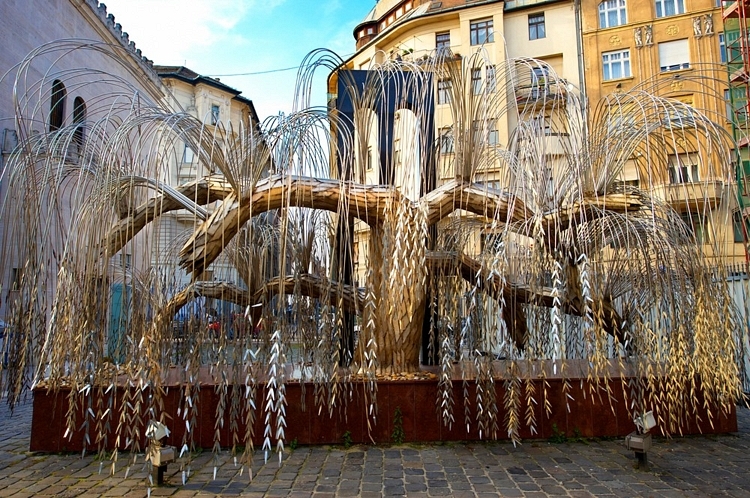 Sculpted as a weeping willow tree, each leaf bears the name of a Hungarian Jew killed during the Holocaust. As the largest Synagogue in Europe, Dohány Street is an appropriate place for such a memorial and the sheer number of leaves, dripping towards the ground like tears, is impactful and poignant. When I visited we didn’t get up close to this statue and actually I’m glad because I think it’s most powerful when viewed from afar. 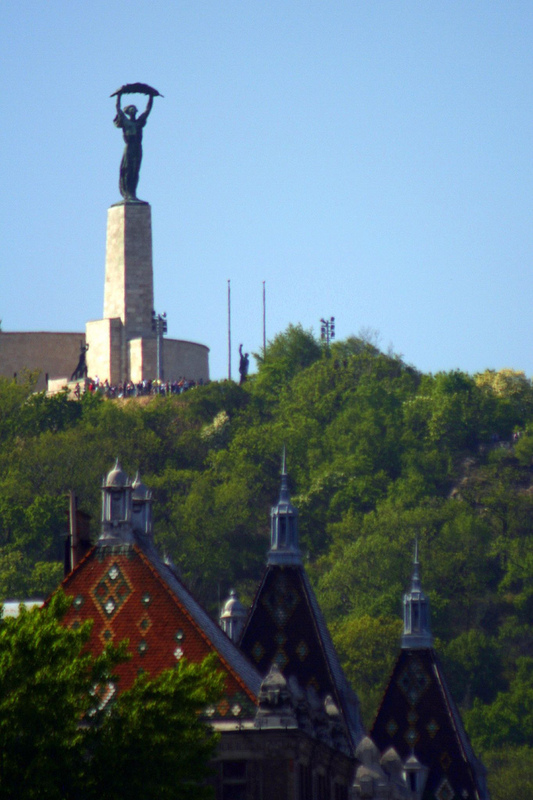 Located on top of a tall hill, the Liberty Statue can be seen from pretty much anywhere in the city and I really liked the idea of that! Anywhere you were, you could look up and be reminded of freedom. I also liked that it looks like the statue is still reaching forward towards freedom, as if even though it may appear as if it has been achieved, freedom should remain the goal and one should never stop striving towards it. Gosh, so much history, so much culture, so much beauty! Budapest looks marvelous.